Well it would appear that some actors had jumped the gun. Well, just one in particular it would look. Najee De-Tiege, or Kevin the Blue Ranger in Power Rangers Samurai had originally tweeted that he and his cast were returning to Power Rangers Super Megaforce! 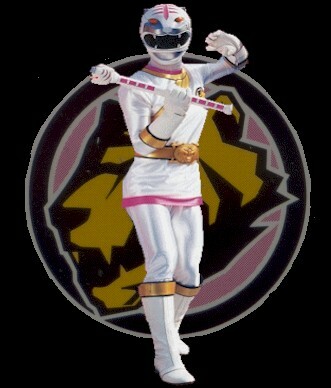 But today, Najee informed Fury Diamond of RangerCrew.com that he was not attending after all. In a bit of news that will cause many in the community to cheer, Samuell Benta who played Will the Black Ranger in Power Rangers Operation Overdrive also confirmed to Fury Diamond that he would NOT be attending Super Megaforce, after originally tweeting that he had been invited to return. We are now going to report those listed above as "confirmed" and assume that all other actors/actresses are no longer involved with Super Megaforce cameo appearances. If there is a confirmation at a later date of one not listed, we will go ahead and update the news. But otherwise, consider the list above as your final list of cameos for Power Rangers Super Megaforce. Filming for the cameo is next week. Click here to check out our list of cameos, who was rumored, and who declined to come! SOURCE: Fury Diamond and our friends at RangerCrew.com! Yet another Ranger alumni turns down the anniversary season. The implication of her statement implies she was invited back and the agreement fell through for the umpteenth hyper-balillionth time, though. Sabans still cheap though. 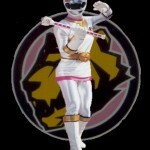 sad she wont return, but wouldnt be my prefered wild force alumni. Yeah, Saban is cheap as hell. And while my preferred Wild Force character would either be Taylor, Max, or Merrick, I'm honestly fine with any of them returning. Najee wll not be in Super Megaforce..
Samuell Benta will not be returning for Power Rangers Super Megaforce. That is a shame, I do hope we get a few more Rangers to come back. So, that Samurai reunion is looking a little less likely now.